Though generally higher-level insurance executives understand the need to calibrate some systems after a collision — and to pay repairers to do so — local adjusters in the field might challenge the procedures, according to one diagnostic expert. When that happens, it’s good to know what the automakers call for so you can make the case for conducting such OEM-recommended checks on these kind of sensors. Chuck Olsen, Collision Diagnostic Services director of diagnostics and technical support, said such questions can often arise over why the passenger airbag sensor and steering angle sensor need to be checked. We could see that “is that really needed?” question arising, for example, in a situation where the collision wasn’t severe enough to activate the passenger airbag and necessitate a replacement. Some manufacturers, such as Honda, Toyota and Hyundai/Kia, require the passenger airbag sensor be calibrated in any crash, Olsen said. Some OEMs require it under other conditions, such as the seat having been unbolted. If it’s not calibrated and the airbag weight sensor is off by say, 10 pounds, that can create a “dangerous situation” for a child, Olsen said. Olson, whose company keeps current on a broader, deeper level of diagnostics and contracts to provide that work to repairers for which maintaining that infrastructure would be impractical. 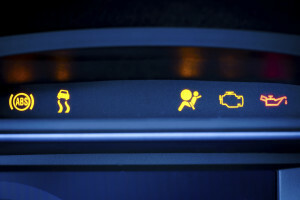 recommends in general checking the airbag system with an OEM-level scan tool before an estimate. As for the steering column, a lack of calibration can hinder a driver’s ability to perform an evasive maneuver correctly, Olsen said. Here are a sample of OEM best practices Olsen provided which explain the need to do particular electronic checks in particular situations. Hopefully, this should help reduce some of the insurer-shop arguments over repair blueprints as well as educate collision technicians who might not have been aware of a step or two. Correction: An earlier version of this article described an anecdote regarding a vehicle sensor check disputed by an Allstate adjuster; upon further review, it is unclear if the manufacturer required such a check in that situation, and so that section has been deleted. Allstate confirmed Thursday that its policy is to follow OEM procedures on sensors during repairs.